Welcome to my new website! I’m so glad to have you join me. Throughout this past summer, I’ve been thinking and praying about how I can use this space to better serve you. It has been a labor of love, but I feel like it is now ready to share with you. My content will be similar, but now my primary goal is to come alongside you and encourage you. The first way I want to do that is to offer you a free gift. 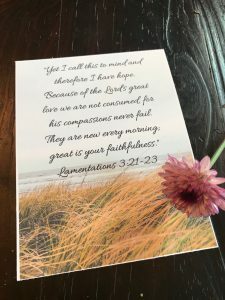 I have created four Scripture printables to share with you if you sign up for my monthly newsletter. 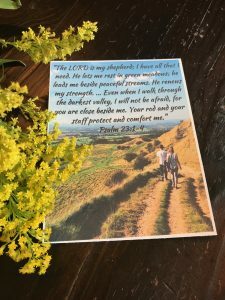 Throughout my walk with God, I turn to Scripture to remind myself of God’s promises and His truth. These four verses have anchored my soul during some of my darkest moments. 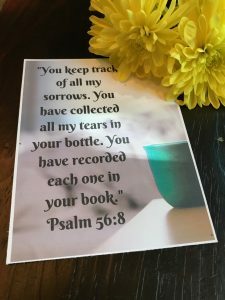 I find that when I’m grieving or going through a tough time, I can no longer open my Bible and read long sections of Scripture. But I can focus on one verse or one passage. And God is gracious enough to show me a glimpse of His character that sustains me for that day. I am often in the habit of taking Scripture with me, whether that be through a screen saver on my phone, a notecard, or a sticky note. If I stop what I am doing long enough to read Scripture throughout my day, my focus can shift from myself to my Heavenly Father. I want to share these verses with you so that they can point you back to your Father and remind you that He sees you and you are not alone. His word will sustain you and give you the hope you need for today. Thank you so much for joining me in this new venture. It excites me to think of what God will do in this space. I am eager to share more of what God is doing in my life. I pray your heart will be encouraged and enlightened this week. Remember – you are not invisible and you are not alone. 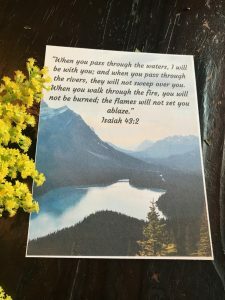 To receive these four Scripture printables, please sign up below for my monthly newsletter. Excited to walk this journey alongside you, my friend. You have so much godly wisdom to share and I’m thankful you are using your gifts for God’s glory. You are loved! Thank you Stephanie! I couldn’t do it without your love and support. Love you and miss you! Love the new website! 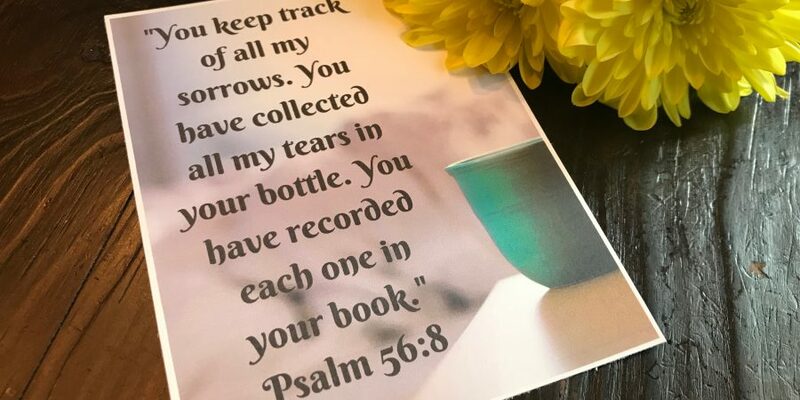 Just yesterday I gave a friend 2 note cards with verses on them…verses that you had written out for me and I felt like I was supposed to pass on to her along with a Bible I was giving her. 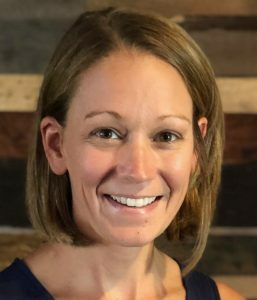 Thanks for sharing your wisdom! Thank you so much for your encouragement. I’m so happy to hear you were able to give away the verses as well!